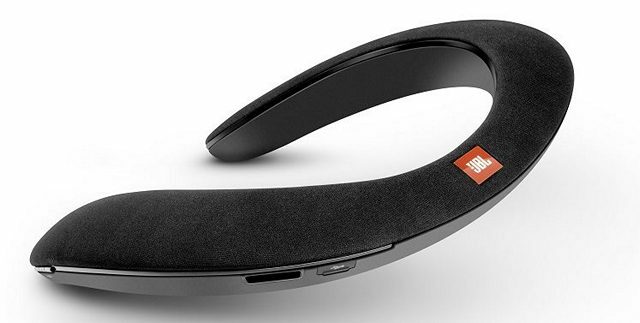 Harman International has launched the JBL Soundgear Bluetooth wearable in India for Rs. 14,999. The device was first shown off at the CES trade show in Las Vegas last year, before being finally launched at the IFA 2017 in Berlin. It is available with immediate effect on the company’s own official webstore, and on various other online and offline retailers, including at 350 Samsung brand stores across the country. The device comes with an ergonomic round-the-neck design, and a dual-microphone conferencing system with echo and noise cancelling technology. It is also capable of receiving phone calls, and comes with an 800mAh Li-ion battery that the company claims can last up to 6 hours on a single charge. It also comes with anti-slip rubber that provides enhanced grip to make sure it stays put when moving around. The JBL Soundgear is designed for activities where one does not want a completely immersive audio experience. Since it rests on your neck, it’s made to help you carry out tasks freely while listening to music or audio, and also allowing you to pay attention to ambient or environmental sounds. JBL says its ideal for those doing house or office work, which requires them to have partial attention to the world around them. It’s also relevant for virtual reality apps and gaming, when audio is not fed through the VR headset. It can also be used for personal entertainment where you may not want audio through speakers. In terms of hardware, the JBL SoundGear has four 31mm drivers, and boasts of a Dynamic frequency between 100Hz – 20kHz, with a sensitivity of 96dB. It has max SPL of 111dB, and an impedance of 96 ohm.